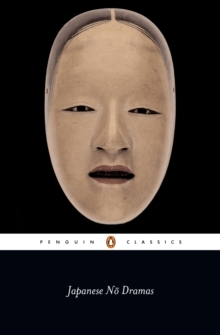 Japanese no theatre or the drama of 'perfected art' flourished in the fourteenth and fifteenth centuries largely through the genius of the dramatist Zeami. An intricate fusion of music, dance, mask, costume and language, the dramas address many subjects, but the idea of 'form' is more central than 'meaning' and their structure is always ritualized. Selected for their literary merit, the twenty-four plays in this volume dramatize such ideas as the relationship between men and the gods, brother and sister, parent and child, lover and beloved, and the power of greed and desire. Revered in Japan as a cultural treasure, the spiritual and sensuous beauty of these works has been a profound influence for English-speaking artists including W.
B. Yeats, Ezra Pound and Benjamin Britten.